I feel human again. And it is such a wonderful feeling. I had forgotten how lovely it is to feel like a functioning member of society...particularly of the genus Homo and species ultris runneris. Geof found out he got into the Wasatch 100 on Saturday evening, and immediately set about formulating a race strategy/plan on Sunday morning. I am so pumped to get to head back there and get in another round of pacing and crewing, especially because it's for my rockin' husband. It's a truly awesome experience and the course is disgustingly beautiful. So, we've got that on tap for September, and lots of awesome training to do before then! I still need to figure out what my big race will be this year, but I've got other fish to fry before I make that decision. I look forward to having some supremely good news to share in the next couple of months; fingers, toes, legs and eyes crossed! 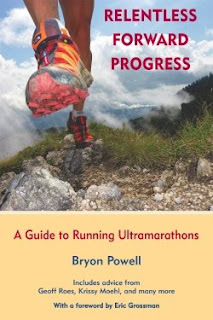 It's great to feel like an ultris runneris again and I'm finally starting to look forward to Zane Grey in April. I'm sure there will be days where I'm cursing it, but for the most part I am really excited for a new challenge (and what a challenge it will be!). After a little vacation getaway this weekend we'll really crank it up again. On on! This is such a happy post. Yay! Don't get weirded out, but I had a dream about you recently. I wonder if the plans you allude to here are the same ones I dreamed about for you? I can't wait to hear about the stuff for which you're crossing all appendages! Ooooo, I'm curious about said dream! Rest is a good thing. I'm coming to this realization a little late in life. Cheers to your recovery and return to great running. 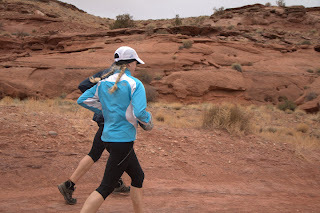 Pacing Hardrock and Wasatch: Heaven! I love the term "ultri runneris". Our local Thurs night running group is having the second annual "Chocolatis Festivus" next Thursday. Seems to me the terms are related somehow.